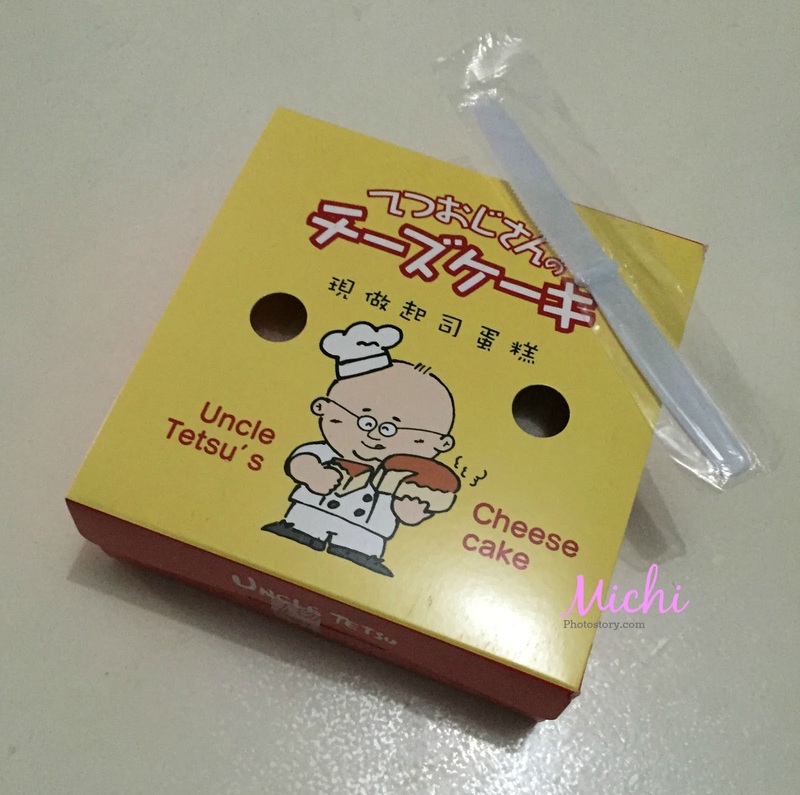 I always see Uncle Tetsu’s stall in Alabang Town Center but I haven’t checked their product. 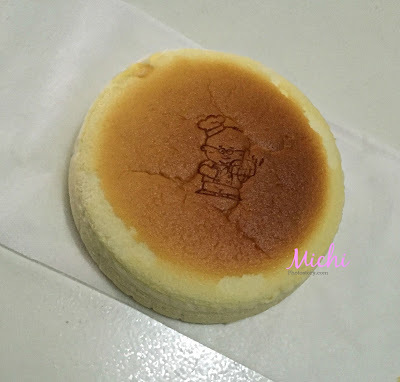 I’ve been reading good reviews about this Japanese cheesecake but it was only last Saturday that I bought a box. I supposed to buy the P99 cheesecake because I just want to try it but it was not available so I settled for P299 Uncle Tetsu’s Original Cheesecake. 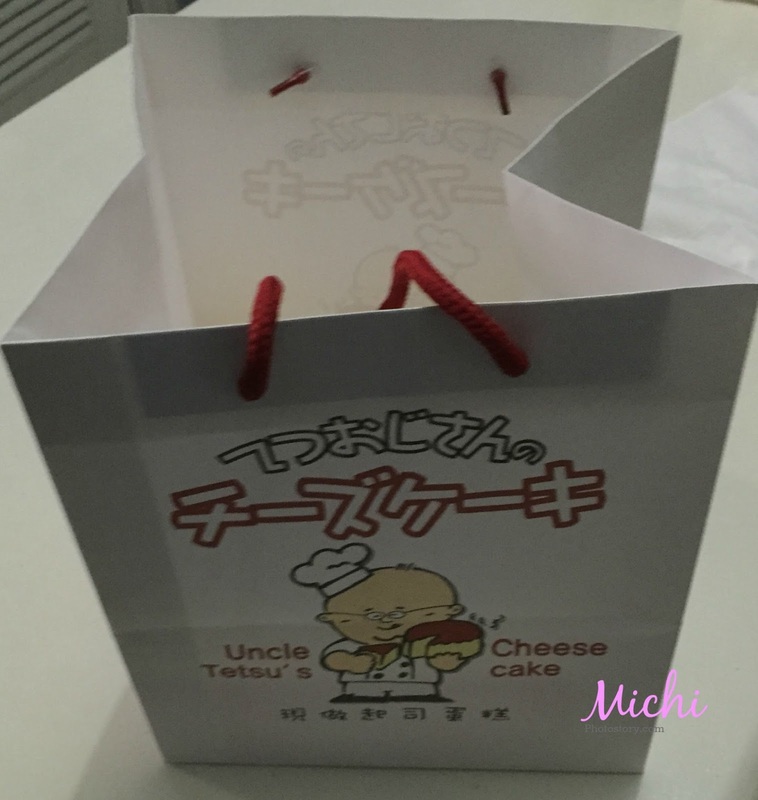 The small box of cheesecake was placed in a paper bag + free plastic knife. The staff informed me to refrigerate within 12 hours from purchase and consume within 3 days. So off we went home and because I love cheesecake, I immediately tried it. The Japanese Cheesecake is very different from the cheesecake that I love. Uncle Tetsu’s original cheesecake is soft, fluffy with melt in the mouth texture while the American Cheesecake is creamy with graham crust. My husband said, “parang isang malaking mamon” hehehe!. The cheesecake is good, it is really soft, fluffy with slight cheese flavor but it is not sweet. I want a sweet cake so it is not a hit for us. But surprisingly, my son liked it. He said it is creamy bread. My son loves mamon kaya siguro nagustuhan din. Oo nga mukha syang mamon hehehe but cute with the logo... I hope I can taste that in the near future..
That seems like a big mamon nga! Pero mukhang yummy! It looks like there's some stuff on the inside. Now I know what it looks like. I always pass by their stall in Podium. I love cheesecake too - the plain one so this is something I was thinking of buying.